We're one direct hair factory,not middleman,so we can ensure with the same hair quality,our price is the lowest. We use the top raw hair so that we can guarantee the hair quality. Many kinds of hair textures for your reference,body wave,deep wave,curly and so on,you can choose what you like. 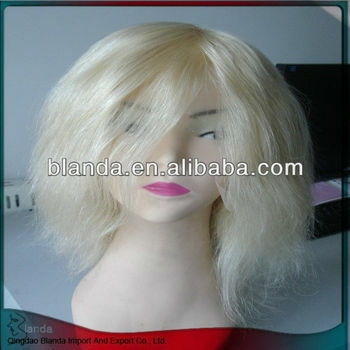 Our hair is 100% real human hair,it's no any animal hairs and synthetic hairs,hope there is one chance you can test it! We are one hair factory with 20 years,have earned good repulation because of our top quality hair as well as fast delivery time.I am sure you will satisfy to establish long terms business with us. If you're interested in our hair products,pls send us your detailed order in terms of hair length,colour and texture,we'll reply to you within 24 hours.